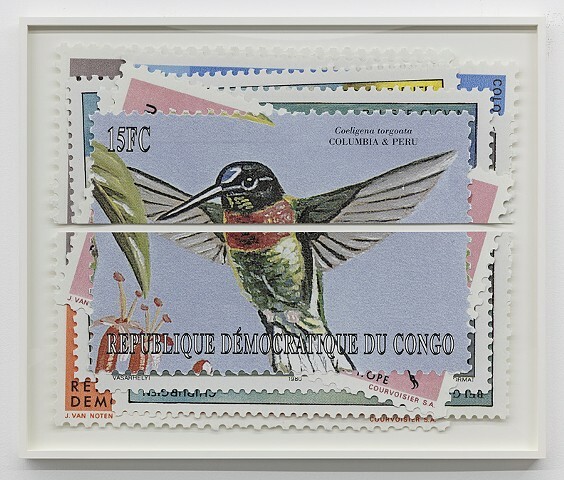 Each of the 13 countries that exist along the Equator are represented by a pile of enlarged postage stamps. The stamps are stacked and layered from oldest to newest. Each stack is cut into two segments along the point where the Equator divides the country into the North and South Hemispheres.